The greatest Tennis player in history is a busy fellow on and off the court. But its amazing how he finds time to inspire, to encourage and to help those who look up to him. 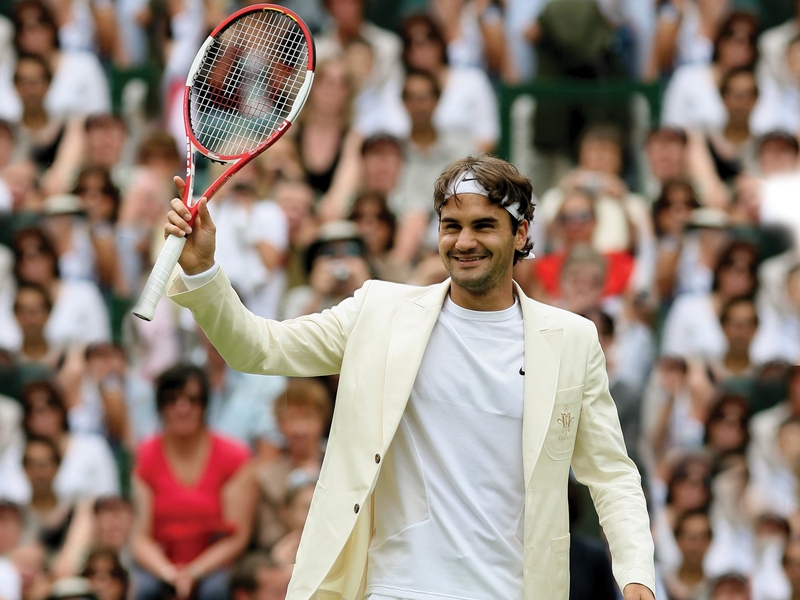 Cancer suvivor Jakob Mueller remembers the moment he met Swiss Tennis champion Roger Federer, at the 2015 U.S. Open. His father stood nearby with tears in his eyes, remembering the difficult road leading to that unforgettable moment. Never much of a tennis fan until he met watched the Swiss maestro. Mueller’s journey began in the summer of 2012. Then just 10 years old, he stumbled across the 2012 Wimbledon semifinal between Novak Djokovic and Federer on TV. Accustomed to watching team sports like football and basketball, he found himself mesmerized by two players facing off one-on-one. His interest piqued and he excitedly tuned in to the final the following day, where Federer’s victory cemented Mueller’s love for the Swiss (and the game of tennis). Little did he know how important his newfound passion would become in the years ahead. He began to play the game himself. Within months he improved quickly. But in the fall of 2014, his play would take a backseat to his health. A visit to the doctor to examine a growth near his collarbone prompted a diagnosis of stage II Hodgkin’s Lymphoma. During this difficult time, his hero was never far from his conciousness. Mueller carried that no-nonsense approach throughout chemotherapy and radiation. His treatments kept him out of school until early 2015, but Mueller made good use of his time at home. He watched hours of old tennis highlights on YouTube, experiencing legendary matches—such as the 2008 Wimbledon final between Rafael Nadal and Federer—for the first time. This helped him greatly take his focus off the pain and discomfort. Free at last. After three months of treatment, doctors proclaimed Mueller cancer-free, and he immediately worked to regain his strength on the court. Off the court, he found out that the Make-A-Wish Foundation would be sending him to the U.S. Open to meet his longtime idol. It was a landmark moment in his life. 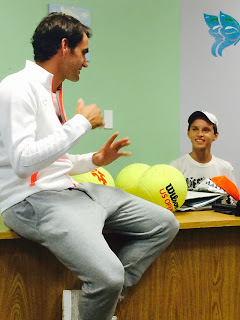 The 20 minutes he spent with Federer are ones he’ll never forget. Mueller is now a healthy 15-year-old who still loves tennis—and Roger just as much as he did when he watched Wimbledon for the first time. Even in the Twilight of his illustrous career, This tennis great Roger Federer continues to lift others out of their dark places simply by being a dedicatad humanitarian, and an amazing player.